Thanks for coming to our Information Evening! We’d like to invite all Year 9 and Year 11 students and parents/guardians to a special Information Evening about our exciting new pathways. This event is aimed at students currently attending other schools, as well as existing students. For Year 9, it will be a chance to find a learning package that meets your personal strengths and interests. 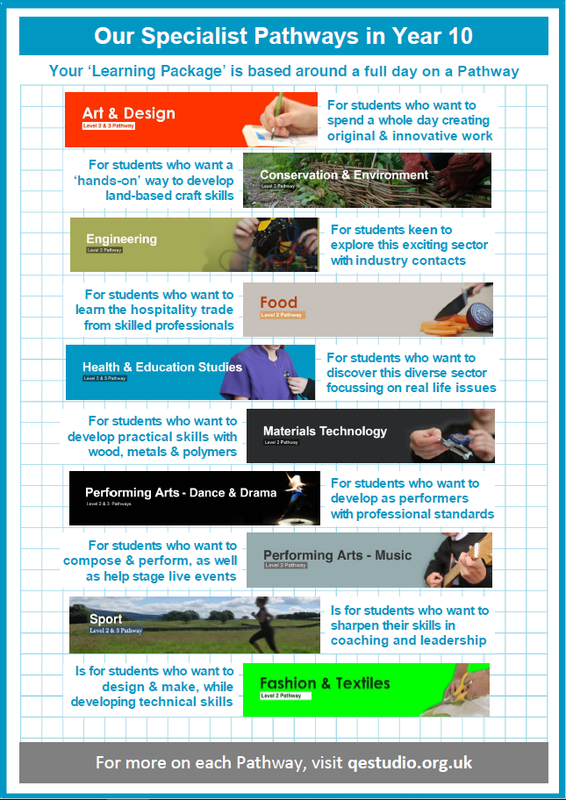 For Year 11, it will be a chance to see how our specialist pathways can give a different way of learning in Sixth Form. We’ll have special presentations for each year group and lots of staff will be on hand to answer your questions. So please come along on Tuesday 27 November to the Main Theatre and QEStudio Hub. If you are currently in Year 9 (at any school) you should come along to hear much more detail about your options. QEStudio staff will be able to give individual advice on choosing the best Learning Package to suit you. 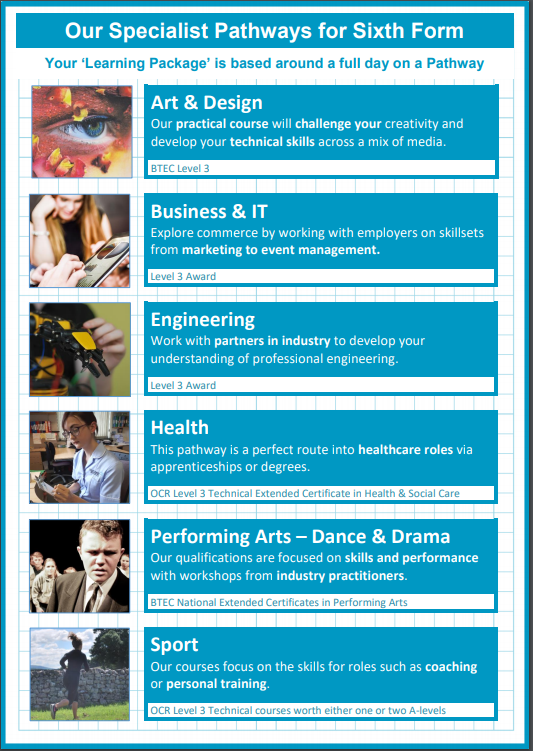 They’ll advise on core GCSE’s, options subjects and the various Pathways available. If you are currently in Year 11 (at any school) you should come along to learn about how flexible we can be with your choices going into Sixth Form. This is a great opportunity to have one-to-one chats with QEStudio staff, getting advice on Learning Packages that would suit you personally.